Karina's Kreations: Stampin'Up Winter Woods Fall Card! 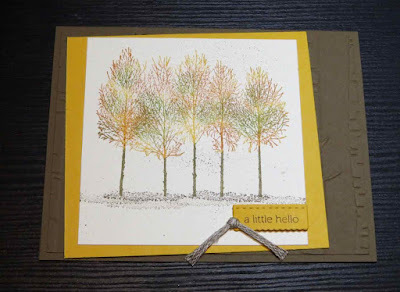 Stampin'Up Winter Woods Fall Card! 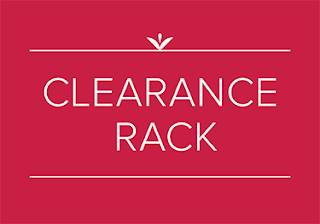 Before I share my card with you today, I wanted to let you know that the clearance rack has just been updated. There are discounts on baker's twine ribbon, gusseted bags, framelits , DSP and more. Click on a product picture below to go to my online store. 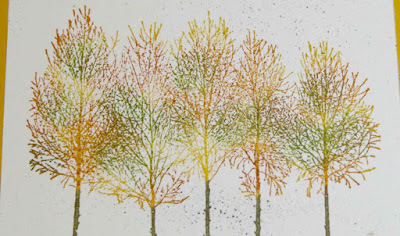 I'm going to be featuring cards made with the Winter Woods stamp this week. This stamp is very versatile and can be used through out the year and also make gorgeous Christmas cards. This set coordinates with the Rooted in Nature stamp set and Lovely as a Tree. This card was a swap I received from Linda Baker. I love it!!! 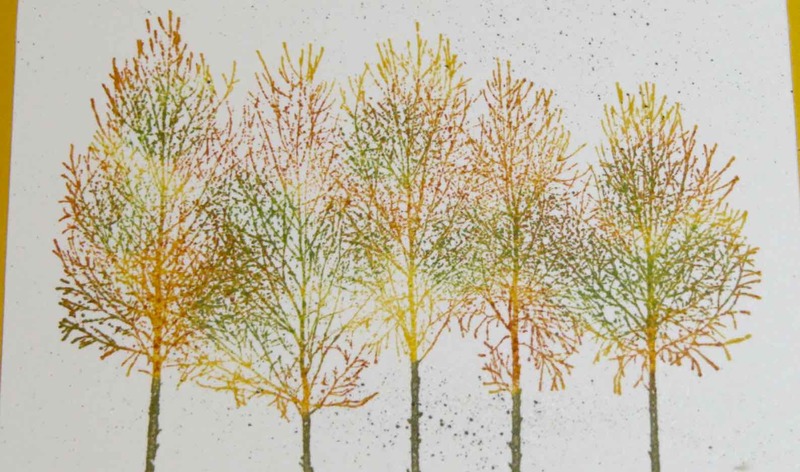 It looks to me that the colors were added onto the tree leaves with Stampin'Up Sponge Daubers. The colors are Old Olive, Crushed Curry, Pumpkin Pie and Soft Suede. Here's a basic supply list.